Nowadays, ICT can no longer be ignored in the world of chemistry. At Chemelot there are many opportunities within this field at different educational levels. Think of vacancies within Business Information Management, Cyber Security, the design and management of systems, equipment and applications, but also, for example, the control technology and the digitization of factories. 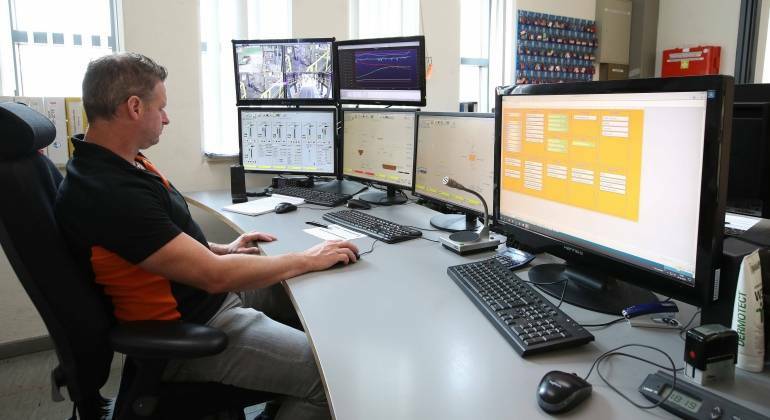 ICT has an important position within Chemelot. You support the companies in all kinds of areas. This can vary from supporting questions about the operation of hardware and software, the management of apps or complex questions concerning the control of factories. Without ICT, everything is quiet. Are you interested in working at Chemelot? View the vacancies within this field of work at the bottom of the page. Is your (dream) vacancy not listed? Apply for the Chemelot Job Community, so we can contact you whenever there is an interesting vacancy.